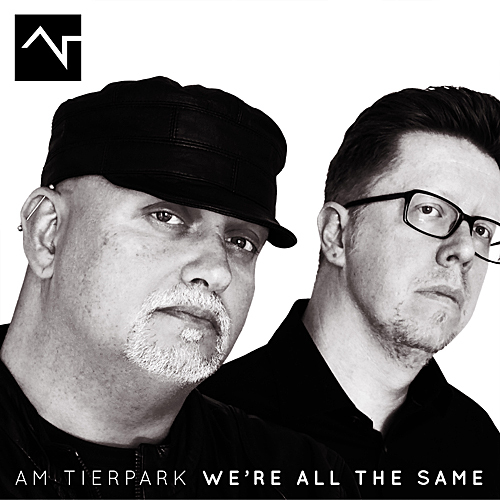 Am Tierpark – the synthpop project of John Mirland (Mirland) and Claus Larsen (Leæther Strip, Klutæ) – will release a new EP, We’re All the Same on June 1. The exclusively digital release celebrating “life, love, and diversity” will feature four all new songs and one remix showcasing the group’s danceable side. 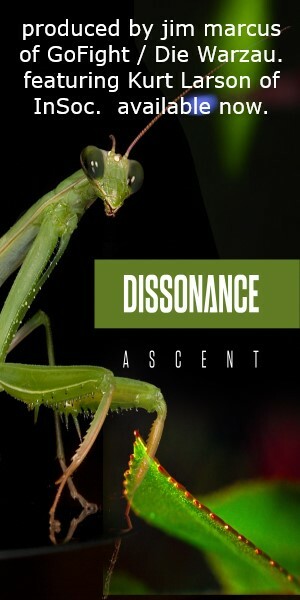 Mirland’s bouncing synths and beats shimmer against Larsen’s plush and richly earnest vocals. The video for the title track, which is available now on YouTube, “celebrates individualism and the fantastic world of subcultures. We might all look different, but we’re all the same.” The song “We’re All the Same” will also appear on the band’s upcoming album Trashy Luxury, due out this fall, which will be the second on the band’s own imprint, Læbel. We’re All the Same is available for pre-order now through Am Tierpark’s Bandcamp, with an instant download of the title track to tide fan’s over until the release.